FIND YOUR ONE at ONE MONUMENT AVENUE Condominiums! Historic mid-rise structure featuring newly re-imagined luxury one level condos in the heart of the Fan. Upscale interior design by Janie Molster designs, new luxury kitchens and bathrooms by KDW homes (buyer has selection options). This condo 6D (6th floor) is the Penthouse and especially exciting with 2 spectacular private rooftop terraces on 2 levels. Terrace off living room: 42′ x 30’ & upper level terrace: 21’x 30′. 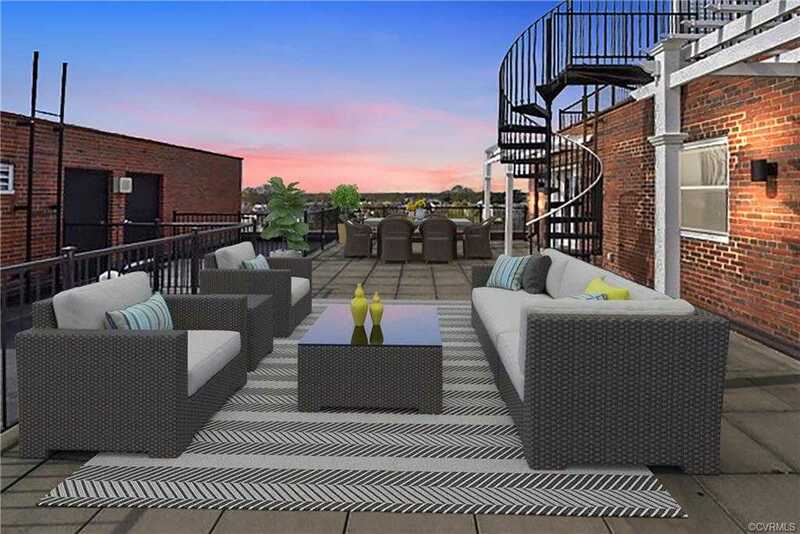 Rare residential views overlooking 2 interior courtyards, the Fan and city skyline. Additional One Monument owner amenities include doorman, upscale entry lobby/foyer, elevators, entertainment room with wi-fi, fitness center, 4th floor rooftop deck w/stunning views of Monument Ave, 2 private courtyards, 2-GARAGE PARKING SPACES INCLUDED W/PURCHASE, additional storage options. Highest walking score, convenient location to all things Richmond. Please, send me more information on this property: MLS# 1911625 – $775,000 – 421 Stuart Circle Unit U6-d, Richmond, VA 23220. I would like to schedule a showing appointment for this property: MLS# 1911625 – $775,000 – 421 Stuart Circle Unit U6-d, Richmond, VA 23220.